You know all about the benefits of a freephone number – the improved customer satisfaction, the increased call rates and the professional, national image it creates. If you run a thriving business within the healthcare sector then this is the FAQ for you. 1. I need a quick answering system with a menu and keypad options. Do you offer that with a freephone number? If this scenario doesn’t represent your customer call experience then we can help! When buying a freephone number from 24 Seven choose the Welcome Message and the Keypad Options functions. You can upload your own welcome message or we can get one professionally recorded for you so a customer hears a friendly and efficient greeting when they call. You can select up to nine different options for the keypad and configure the most efficient call routing destinations depending on what your callers most want. Options could be to book an appointment, for test results, for management, to request a call back and so on. 2. My patients keep calling out of hours, I don’t want to miss their calls. What’s the solution? Patients will call when they remember or have a few spare moments. This is often outside of normal working hours. When you purchase a freephone number from us, we offer a solution called Time of Day Routing to combat this and ensure you don’t lose custom or miss an important call. You set your working hours, and if a call is received outside of these times then an ‘out of hours’ message is played and the call can either ring off or go to voicemail, if you’d prefer. 3. My receptionist pops away from the front desk briefly and the phone always rings when they’re not there. What do you recommend? If your healthcare sector business is still operating from one local landline that rings on one handset at reception then it’s not only time to switch to a freephone business number, but also time to take advantage of Multiple Diverts. You can divert a call to up to four different numbers within a sequence, these can be landlines or mobile phones. If your receptionist can’t pick up, the call can be diverted to the relevant staff who can answer it in their absence. 4. Staff from my different clinics meet up regularly. This is becoming costly with travel expenses and refreshments charged back to the business. Is there any way they can do this over the phone? Absolutely. 24 Seven offers a conference call service that is utilised by businesses across the board, including in the healthcare sector, to save money and time on in-person meetings. A group of people based in different locations can dial in to the same number and speak to each other over the phone as they would in person. The service is completely free to use for up to 100 people and offers an unrestricted time limit without interruption. A conference call can be set up instantly with an email address. Read more here. 5. Some of my staff aren’t able to pick up their phones during specific times, however they can access their email. Is there any way to send their voicemails to their inbox? Yes, our Voicemail to Email facility does exactly this. When you receive a voicemail, it’s recorded as a sound file and emailed as an attachment to the relevant address. The recipient can open their email, click on the file and listen immediately to the voicemail without having to use a phone. 6. I want to understand more about my telephone calls. I want hard data! Can 24 Seven help? Every 24 Seven customer benefits from our intuitive account dashboard. This online, mobile-friendly reporting system tracks call data so you can pull off reports and look at the statistics. This enables you to gain a deeper understanding of your telephony system, such as assessing the busiest times of day for calls or the department or clinic that is receiving the most contact. It also helps you to identify areas for improvement, for example, call drop off rates. 7. I have a busy, 24/7 outpatient hotline. It’s a free service, but I’d like to make some money from it. Anything you can suggest? You could consider moving your hotline onto a revenue share number while keeping your freephone number for all other inbound calls. A revenue share number creates an additional income stream with minimal effort. Known by consumers as premium rate numbers, they’re charged at a higher cost than normal calls. You collect the additional charge, so the amount you earn depends on the volume of calls you receive, the length of the calls and the tariffs set. 8. Can I pick my own freephone number? Yes, you can pick from a list of thousands of numbers. 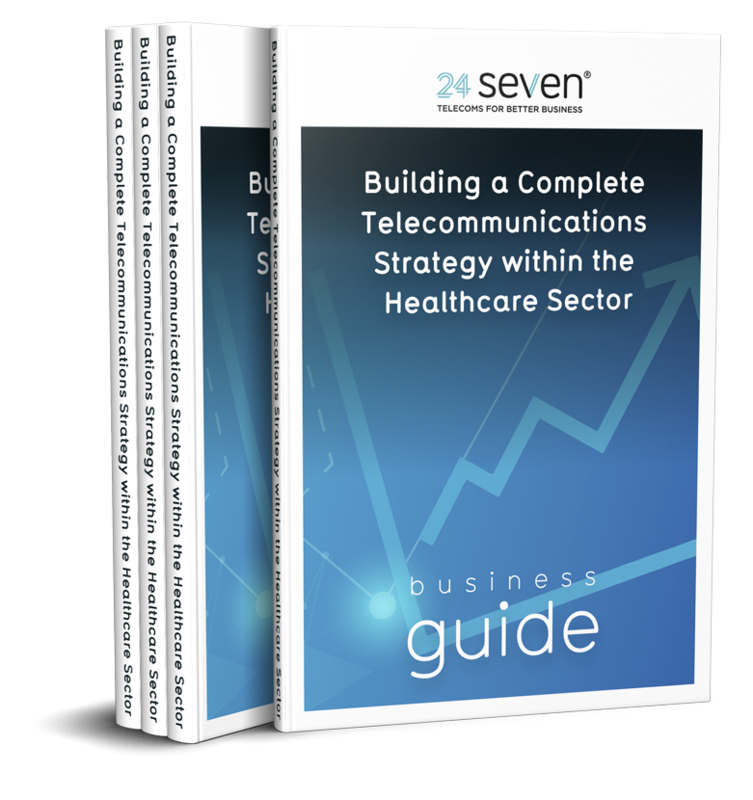 24 Seven offers four options so you can select the right freephone number for your healthcare sector business and which meets your budget. A Bronze basic freephone number costs from £2 per month, a Silver essential number is a monthly £5, a Gold outstanding number is £10 and a Platinum number, where you can choose a spectacular, highly memorable number, is £50 per month. If you’re sold on the benefits that a freephone number can bring to your healthcare sector business then call 24 Seven on 08000 247 247 or email info@24seven.co.uk to purchase your freephone number today. No problem! Get in touch with one of our experts who can answer any questions you might have. We’re here to help.